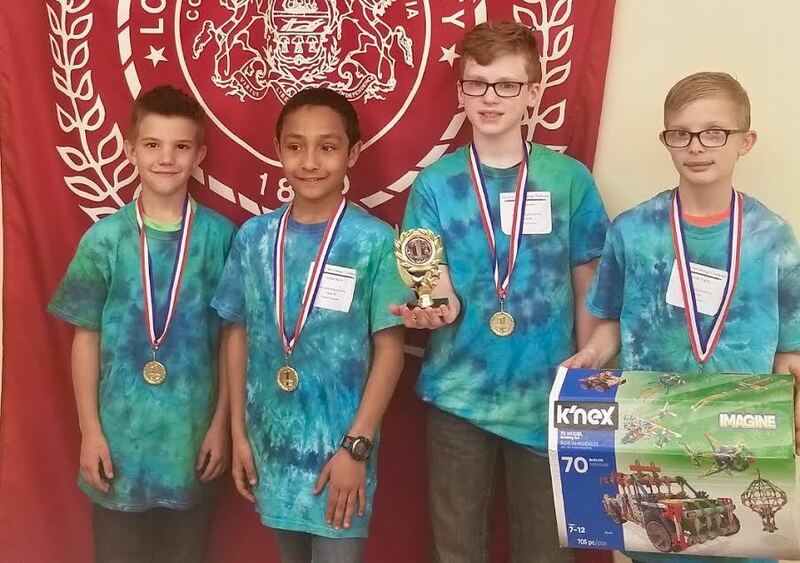 In their first ever time participating in the K’NEX Challenge, a four-student team from Howard Elementary School is headed to states on May 18 in Harrisburg. Their eligibility for states comes after placing first at a regional competition held at Lock Haven University-Clearfield campus. A team from Port Matilda Elementary School placed third at regionals – also their first time competing. “As soon as I heard them call second place, I just got sad because I didn’t actually think we were going to win, but we did,” fourth-grader Trey Tressler said. He’s part of the team with classmate Jayden Byrd, and fifth-graders Damien Ergott and Alex Surovec. The K’NEX Challenge is a STEM-based design competition that encourages students to create different devices using K’NEX. This year, students were required to build an eco-friendly contraption that could be used for everyday household use. The team said that with help from consultant, third-grade teacher Margaret Bonson, they created a seven-propeller drone made of recycled material and a battery that changed on solar power and equipped with a camera and claw. The mission of the drone, according to Trey, would fly around a home and create a virtual shopping list of items needed that would appear on a mobile app. If the battery got low, the drone could wheel itself to a changer. Fifth-grade teacher Amber Buchanan said the team initially had a difficult time coming up with its idea, Project Expirion, but used inspiration from a “timesaving” thought to create it. The team was assembled in December. Now, come states, the team will have two hours to recreate their device with less than 1,400 K’NEX pieces, along with giving a two-minute presentation and providing documentation of their project to the judges.